It’s a whole new week, and that means a whole new iTunes U course! flip the switch and give teachers some homework. 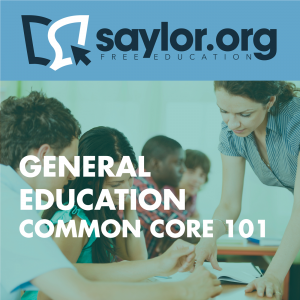 Educators nationwide can get a leg up on the new Common Core State Standards (CCSS) with our COMMON CORE 101 course. COMMON CORE 101 aims to provide educators with an overview of the CCSS, top resources for developing content, and the main benchmarks for ensuring that a K-12 course is compliant with new state standards. After a push by the National Governor’s Association in 2009, common core standards have been adopted by 45 states (and 3 territories) with some state assessments slated to begin in 2014-2015. You can check out a full list of our iTunes U courses on our site or dig into our iTunes U channel…there are 23 more where this came from. Monday Morning Digest: Never Say NeverMonday Morning Digest: Digital Citizenship Beyond Facebook?